Nearly 70 per cent of Canadians support deploying Canadian Forces on UN peacekeeping missions in active fighting areas, a poll conducted for CTV News has found. The Nanos Research survey also found that nearly 80 per cent of Canadians either think that participating in UN peacekeeping missions is a very good (37 per cent) or good (37 per cent) use of Canadian Forces personnel and equipment. Only six per cent of Canadians think it’s a poor use of personnel and equipment, while four per cent think it’s a very poor use. In August, Prime Minister Justin Trudeau committed to deploying 600 Canadian troops on UN peacekeeping missions, but wouldn’t say where they would be going. 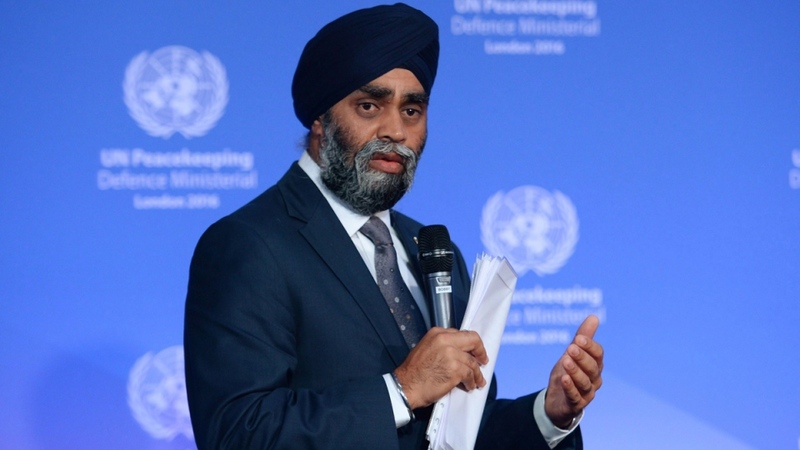 Defence Minister Harjit Sajjan visited the United Nations on Thursday and met with UN Secretary General Ban Ki-Moon, and possible Canadian peacekeeping missions were under discussion. The survey found that seven in 10 Canadians support (30 per cent) and somewhat support (39 per cent) deploying Canadian Forces to active fighting areas. Alternatively, 14 per cent somewhat oppose while 13 per cent oppose the idea. More than three in four Canadians support (48 per cent) or somewhat support (30 per cent) Canadian peacekeepers being allowed to shoot first when feeling threatened, with 11 per cent somewhat opposed and 6 per cent opposed. One possible Canadian mission, supported by France, would be a deployment to Mali, where al-Qaeda-linked groups are becoming difficult to control. Another mission possibility would be to the Central African Republic, a politically unstable nation with multiple militia groups. A majority of Canadians were also found to support (42 per cent) or somewhat support (37 per cent) making it a priority for Canada to have a seat on the UN Security Council. Eleven per cent somewhat oppose and six per cent oppose making it a priority. Canadians are also overwhelmingly in favour (78 per cent) of having flexible end dates to peacekeeping missions, based on mission status, while 15 per cent think missions should have a firm end date. The national dual-frame (land and cell) hybrid telephone and online survey of 1,000 people was conducted between Sept. 24 and 27th, 2016. The margin of error for a survey of 1,000 respondents is ±3.1 percentage points, 19 times out of 20.